A new national scheme has been launched by Housing Minister Grant Shapps, which will allow social housing tenants wanting to swap their home to see every available property in the country. The scheme will be online, and so this will make advertised swaps much more accessible for tenants and the possibility of moving house ‘just a click away’. “It’s crazy that some people don’t want council tenants to have the same life opportunities as everyone else. 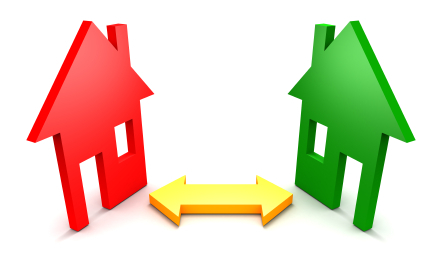 At the moment tenants who live in social homes might be able to move nearby, but there’s almost no chance of a longer-distance move to take up a new job offer or move closer to their family. “I’m not content to restrict opportunities for the eight million social tenants in this country – that’s why we are determined to shake up the lazy consensus that traps people in this system. HomeSwap Direct will give tenants access to a wider range of properties than ever before, and the chance to move anywhere in the country. A project to save the last working Victorian pottery in the UK and create more than 100 new jobs in Stoke-on-Trent has secured commitments to receive £5 million of government and private funding. Middleport Pottery, in Burslem, was acquired by the Prince’s Regeneration Trust in June when it was at serious risk of closure. The project will benefit from £1.7 million of investment from the Government’s Regional Growth Fund. This will help refurbish the site into a centre maintaining traditional manufacturing skills, a space for artists and a visitor centre. The project is expected to help drive wider regeneration of the Burslem area. “I’m pleased we’re able to support the Prince’s Regeneration Trust project through the Regional Growth Fund. This will provide a great boost to the economy in Stoke-on-Trent and create more employment in the area. The £1.4 billion Regional Growth Fund uses public money to fund projects which will create long term jobs, sustainable growth and boost the local economy. The first round of the fund has provisionally awarded £450 million to 50 projects across the country, leading to the creation of 27,000 jobs and more than 100,000 additional supply chain jobs. Applications for money for the second round of the fund closed on 1 July. Bids are currently being considered by ministers. An announcement on the successful bids in the second round is expected shortly. There are growing concerns that Remploy may close many of its factories across the country if it loses vital Government funding. Funding currently comes from the Department of Work and Pensions which gives £63m in support which works out at around £23,000 a year for every employee – this figure, and the cost is however subject to interpretation. “government funding should be invested in effective support for individuals, rather than subsidising factory businesses”. The review also recommended the closure of factories which were “not viable”. Public consultation on the Sayce Report is now closed and the Department of Work and Pensions is beginning to read through the responses before the Minister for Disabled People, Maria Miller. No final decision has been reached but she has already said she is “attracted” to its recommendations whilst insisting that the consultation is meaningful. The latest official statistics released by the Department for Work and Pensions reveal there has been an increase in the number of Employment and Support Allowance claimants going into the support group. For ministers, this indicates that the changes the Government made to the Work Capability Assessment (WCA) are making a difference and more people are getting long term unconditional support. “We are seeing an increase in the number of severely disabled people being given long-term unconditional support, which shows that our reforms to the work capability assessment are starting to work. Changes have been made to the Work Capability Assessment include simplifying the language of the criteria, making greater provision for people awaiting courses of chemotherapy and people with certain communication and mental health problems, as well as taking greater account of how an individual has adapted to their condition or disability. Cancer charity Macmillan have presented statistics from a survey they commissioned, revealing that cancer patients are fighting both cancer and financial hardship as a result of their diagnosis. Key findings based on 1,495 cancer patients who took part in the survey. – 66% reported an increase in costs as a result of travelling to hospital and/ or an increase in household expenses. – 7% are scared of losing their home. – 9% have borrowed money to cover the additional costs of cancer. – 43% of all cancer patients surveyed are anxious due directly to their financial situation. All of these statistics show the situation before welfare cuts and so the situation for cancer patients is likely to worsen as 7,000 cancer patients stand to lose up to £94 a week due to changes to Employment and Support Allowance (ESA). Following the first round of applications to the £50m Growth and Innovation Fund, innovative proposals to deliver world class training in seven leading industries have been selected for further development. Business planning will now get under way for a new National Skills Academy for Health, which will be led by the Skills for Health Sector Skills Council. Plans are being developed for existing National Skills Academies to be expanded, with the National Skills Academy for Nuclear embracing nuclear manufacturing and the National Skills Academy for Creative and Cultural Skills expanding into the jewellery, design and heritage industries. Specific projects with joint employer and public funding are being initiated to boost specialist skills in the fitness and playwork industries. The above projects will draw on joint funding from employers and the Government, via the Skills Funding Agency. A survey by two charities, Kids and Mencap, has found that childcare costs are so high that they are preventing parents from having a break during holidays. The survey of 1,192 parents of disabled children from across England, found that two-thirds of families found it “difficult” or “very difficult” to find suitable childcare for their disabled child this summer. For the year, the cost of childcare for disabled children was found to be dramatically higher than average. 20% of survey respondents said they faced up to £11,700 per year in childcare costs, compared to the national average of £5,028. The survey found that one in 10 disabled children were refused childcare places because of their impairments. The ability for parents of disabled children to work, was questioned in the survey. The main finding was that 43% said they were unemployed as a result of the child care being both too expensive and not appropriate for their child.